“Inspiring Young Minds” is a Bus that houses an interactive, audio visual travelling educational exhibition on history and heritage. 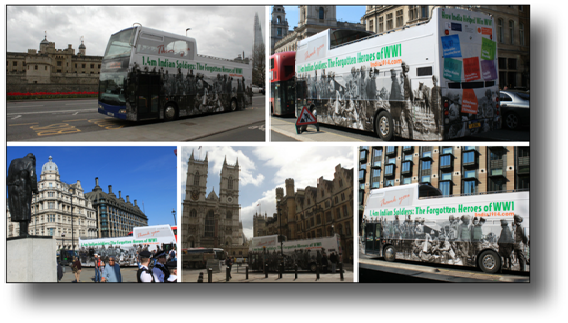 An interactive exhibition on the Role of Indian soldiers during The Great War (World War 1) the bus (owned by Golden Tours but loaned to the project) will bring to the participating community centres, a shared remembrance of their communities’ contribution in shaping the Great Britain of today. The project will be rolled out to include the shared remembrance of the ethnic communities’ contribution in the World War 1. The “Inspiring Young Minds” project consolidates and disseminates the outcomes and oral histories documented as part of the India1914 project of the Golden Tours Foundation.